The Orang Asli are the indigenous minority peoples of Peninsular Malaysia. 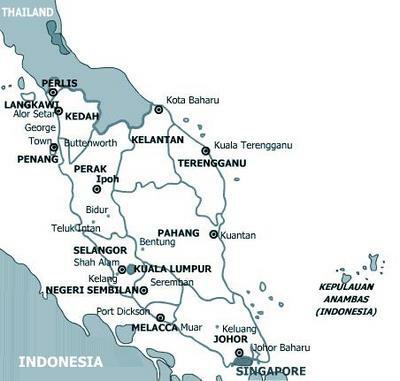 The name is a Malay term which transliterates as "original peoples" or "first peoples." It is a collective term introduced by anthropologists and administrators for the 18 sub-ethnic groups generally classified for official purposes under Negrito, Senoi and Proto-Malay. They numbered 105,000 in 1997 representing a mere 0.5 per cent of the national [Malaysian] population. The Malaysian media are reporting that Hassan Mahamood (a member of the Islamist Parti Islam Semalaysia), the Missionary and Islamic Development Committee chairman for the Malaysian state of Kelantan, has announced major benefits – a sum of RM10,000 (US$2,700), free living accommodations at Orang Asli settlements, a four-wheel-drive vehicle, and RM1,000 a month – to Muslim preachers, male or female, who marry an Orang Asli and converts him or her. Male preachers may take the Orang Asli as a second or third wife and still get these payments. This campaign is part of a campaign to convert the Orang Aslis of Kelantan because Hassan Mahamood finds they are converting too slowly. "The move is made because the state government is dissatisfied with the missionary achievements," he told reporters. "The 2005 data showed only 2,094 Orang Asli converted to Islam out of the 12,000 Orang Asli population in Kelantan." A PAS leader, Mahfuz Omar, endorsed the plan. "Money, house and car are only a way of helping young couples and not discrimination." One assemblyman, Saufi Deraman (of the ruling Barisan Nasional party) questioned the program, but for unexpected reasons. What about the Muslims who married Chinese and Indians, he asked, "Aren't they Malaysians like the Orang Asli?" And yet they received no bonus. The utilisation of state resources as a motivation for preachers to convert Orang Asli women by marriage is an abuse of power and violation of the basic right, especially the freedom of thought, conscience and religion by monetary inducement. … Inducement or reward for conversion, especially of very vulnerable and marginalised women in Malaysian society, is unethical and unacceptable even from any religious perspectives. Rather, he said, the state should help empower this poor community through economic and educational activities. A.Sivanesan, a human rights lawyer, agreed that the government of Kelantan had gone too far. "The system of awards is a form of corruption and a waste of tax payers' money." A Muslim convert claimed that he has to fork out about $13,000 of his own money to complete the house which was supposed to be given free to him and his converted family to stay in. He said the contractor who built the house did not complete the house as he had not been paid the cost that he claimed. "The underneath of the roof is not covered, the staircases are made of wood and not in concrete as specified and the toilet floor is also uncovered with concrete," he said. He said the house costs about $49,000 but the contractor did not receive full payment therefore he refused to complete it. "I have to use my own saving in order to see the house completed," he said. He added he also needs to fork out money to complete the electrical wiring for the house. When contacted, a relevant officer at the Ministry of Religious Affairs said the full cost of the construction of the house shall be borne by the ministry. "However, in order to receive such assistance, an applicant needs to satisfy various terms and conditions such as the need for the person and his family to live separately from his or her own family who are not Muslims," said the officer. Comment: What stands out in this news item is the easy assumption that the Brunei government subsidizes conversions to Islam.